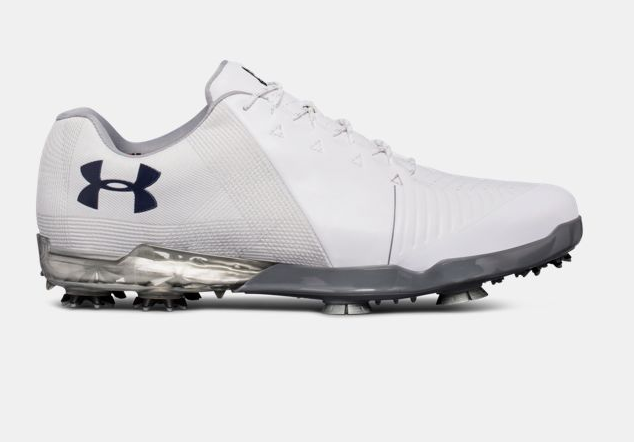 UA Spieth 2 golf shoe review: lighter and more comfortable for 2018. 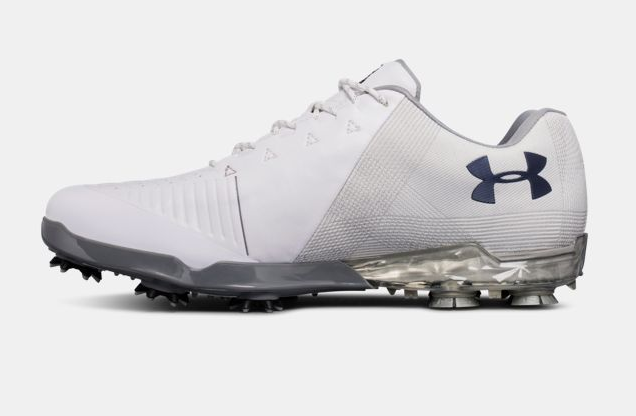 Under Armour has launched its new Spieth 2 golf shoe, following up the two-time major winner’s first signature product from last year. 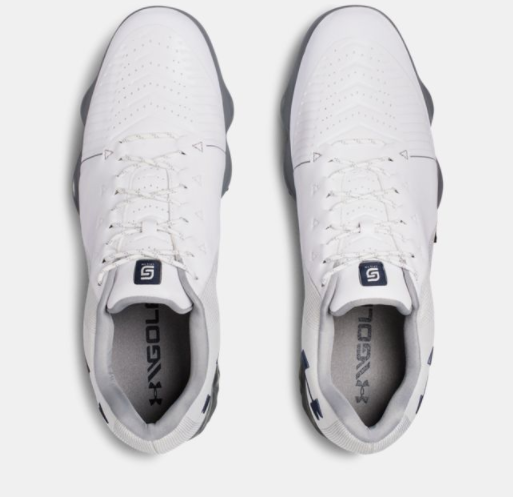 Gore-Tex is employed in the new golf shoe, offering waterproofing and breathability, while strong TPU fibres are woven into the upper for a lighter product that is just as strong. Similar to the Spieth One. On the narrow side, which gives it a sleek appearance. Looking down on them, there appears to be less of the front spikes on show compared to the old product, which is good to see. You can still glimpse them, which will erk a few. There are score lines on the front of the shoe, which could even be used for lining up purposes if you’re that way inclined. We had the all-white version which have a great premium feel to them. They are an overall mix of sporty and technical. Some found the Spieth One’s a tad heavy, so it’s great that the Under Armour Spieth 2 has shed some weight. They feel much lighter in the hand and when on your feet. They also offer less resistance when walking, which may be down to the new footbed and midsole. This made them feel a lot more comfortable, but if comfort is your primary concern, there are other shoes more suited to you. We enjoyed good levels of stability through the swing, and felt locked into the product. 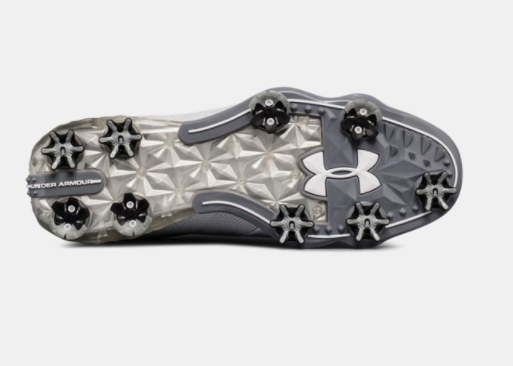 RST spikes are used again, keeping the levels of grip high, like seen with the Spieth One. An improvement on the Spieth One. 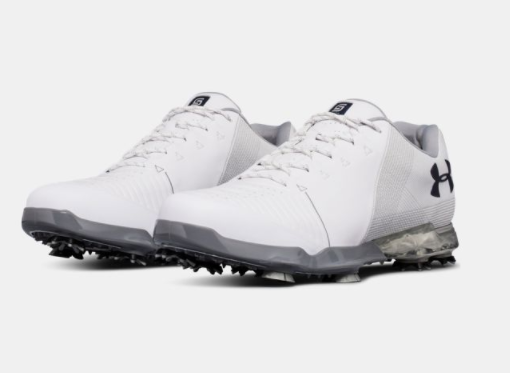 The Under Armour Spieth 2 is lighter and more comfy in 2018.